Mariah Brannigan is as beautiful a woman as she is talented. Maybe that’s why she’s being stalked. 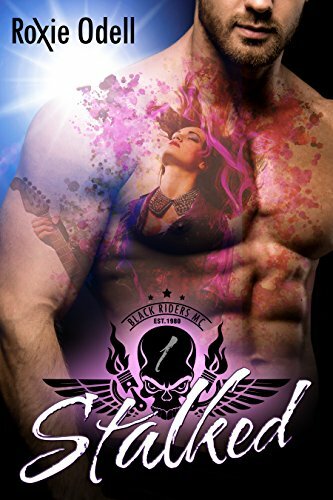 When she and her band play Baltimore bars frequented by the notorious Robinson Street Bikers, biker captain Nelson Primeaux will simply not take no for an answer. Just when Mariah never wants anything to do with another biker again, a chance encounter with a Good Samaritan and off-the-hook hot biker by the name of Cody Dallas changes all that. He always seems to be at the right place and at the right time, namely in the middle of her heart, and saves her from Nelson’s clutches. However, Mariah learns that Cody’s club, the Black Riders, are major rivals of Nelson’s very powerful club. When she hears Cody is a player with the ladies and his romantic courtship is just one play of many to rule the streets of Baltimore, she’s devastated. Can the unbelievably good-looking and seemingly tender Cody Dallas prove to Mariah that he’s a biker with a true heart? This is a steamy romance series, NOT erotica.